CARNEGIE HILL — Ralph Lauren keeps one of the most valuable collections of cars in the world inside a secret garage less than an hour’s drive from his Fifth Avenue duplex in Manhattan — but he steers clear of it most of the time. While most New Yorkers battle for parking spots on city streets, the billionaire clothing mogul and known gearhead keeps about 60 rare roadsters — from a 1958 Ferrari Testarosa to a 1938 Alfa Romeo Mille Miglia to a 1929 Bentley Blower — in an unassuming office park-like building in Bedford Hills. But he only visits the spot for about 25 to 30 hours out of the year, according to his lawyers. The fashionista's team of legal eagles revealed the short amount of time spent at the garage in court papers last year in response to a lawsuit accusing Lauren of stiffing a Westchester contractor out of nearly $300,000. The lawyers were trying to prove that the contractor, William Scherer, couldn’t sue Lauren for not being fully paid to renovate the garage because Lauren didn’t live on the property and doesn’t own the building. D.A.D. Auto Storage, a holding company controlled by Lauren, is the title-holder to the building and the only entity that can be sued, the lawyers argued. While Lauren rarely stops by the garage, he pays car curator Mark Reinwald to watch over the building, maintain the vehicles and take each of his vintage rides for a spin every once in a while, according to court papers. On the few occasions Lauren shows up at the garage, he usually spends his time talking shop with Reinwald. 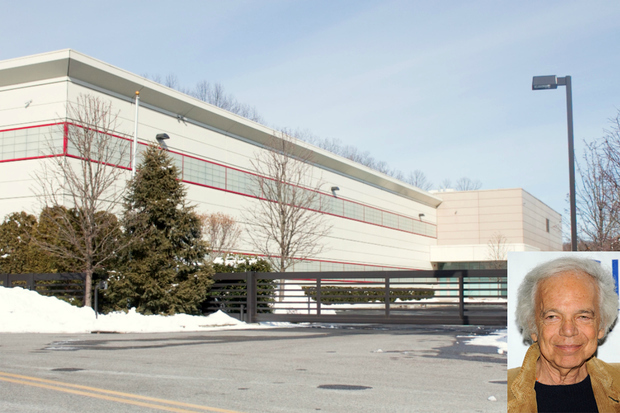 Scherer sued Lauren in Westchester Supreme Court, claiming he was never paid $297,367 for nearly $1.7 million in repairs and improvements his contracting firm performed on the building starting in 2007. The case was sent to arbitration, but it was dismissed last year when Scherer couldn’t come up with $12,000 to cover his share of upfront payments to the arbitrators. A source said that Scherer is currently contemplating taking further legal action to recover the money. Lauren's D.A.D. Auto Storage has owned the mega-garage since 2007. The Polo shirt purveyor has tried to keep its location hidden ever since. Lauren’s given only one interview about the garage, allowing a Vanity Fair writer and a photographer to tour the facility in 2011. The magazine’s story is purposely coy about saying where the garage is located, only that it’s in Westchester County. “Within it are 60 or so of the rarest and most valuable cars in the world, including a 1938 Bugatti coupe, a 1938 Alfa Romeo Mille Miglia roadster, and a 1930 Mercedes-Benz SSK ‘Count Trossi’ roadster, only one of which was manufactured,” the Vanity Fair article says. The lawsuit reveals that the garage is located on a street right off an exit on Saw Mill River Parkway. The gated facility is next to a strip mall. Its windows have been blocked out so no one can peek in. Lauren replaced stairs with ramps so that cars could easily be moved from one floor to the next, according to Vanity Fair article. It has a conference room decorated with trophies Lauren’s cars won at auto shows and a workshop that “looks more like a laboratory than an automotive bay,” the article says. Neither a lawyer for Lauren nor a spokesperson for his fashion line responded to a request for comment. Lauren splits his time between his Fifth Avenue duplex in Carnegie Hill, a country estate in Bedford that’s just a short drive from the garage, a Montauk beach house, a Colorado ski ranch and a Jamaican getaway. Scherer declined to be interviewed for the story.